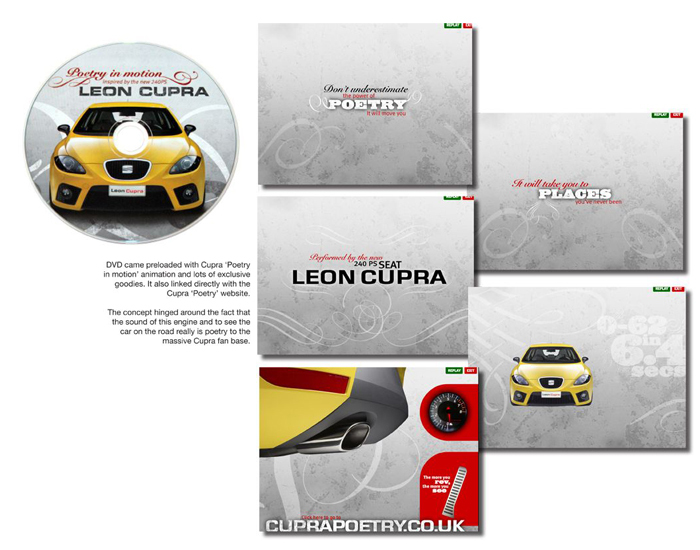 Integrated launch for new Leon Cupra began as a series of teaser films online, this was followed with a direct mail pack to known Cupra fans. 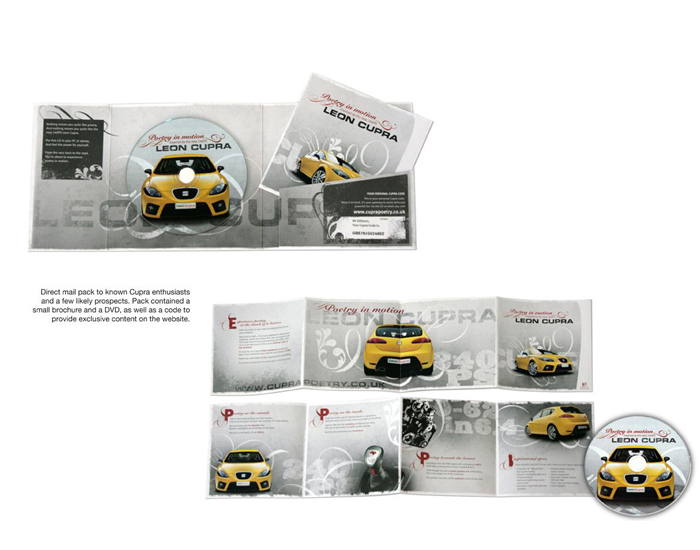 The DM contained a DVD and a short animation link direct to Cupra Poetry website. A unique number unlocked exclusive footage for the luck recipients. 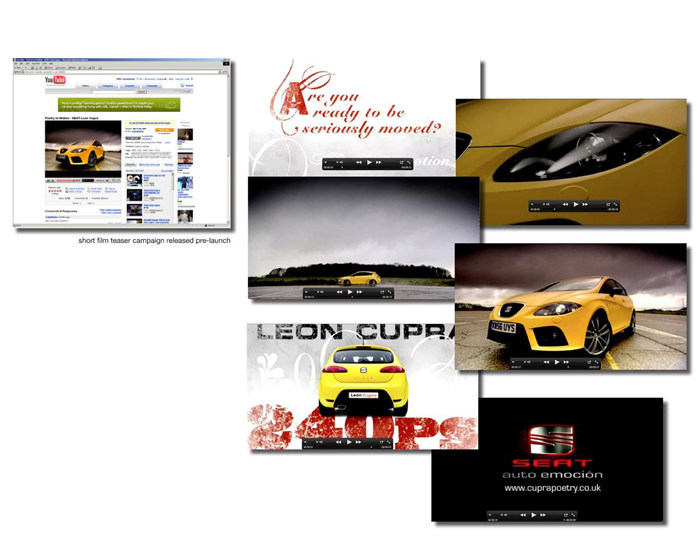 With full online support, the Cupra story grew and grew.